WASHINGTON — Hostilities are about to resume in the Republican civil war — this time, in Mississippi. State Sen. Chris McDaniel, a conservative who narrowly lost a primary challenge to U.S. Sen. Thad Cochran in 2014, will announce this week that he's running against the state's other Republican senator, Roger Wicker, according to a person familiar with McDaniel's plans. Republicans in Mississippi, and at the national level, already are bracing for an ugly fight — one that figures to pit the activist base against an incumbent that President Donald Trump is expected to support. In 2014, McDaniel beat Cochran in the first round of primary balloting but lost in a runoff after Cochran successfully courted Democrats to register and vote in the GOP race. Tea party activists complained bitterly about tactics used by Cochran and his establishment supporters, including the Washington arm of the GOP. They created a hashtag, #RememberMississippi, to commemorate their ire; it is also the name of a super PAC that raised more than $1 million last year, nearly half of it from Republican mega-donor Robert Mercer, to help coax McDaniel into the race. "He is a strong conservative and a constitutional expert," said Republican fundraiser Dan Eberhart, who contributed $25,000 to the Remember Mississippi PAC. "He's a better fit for the electorate than Wicker." 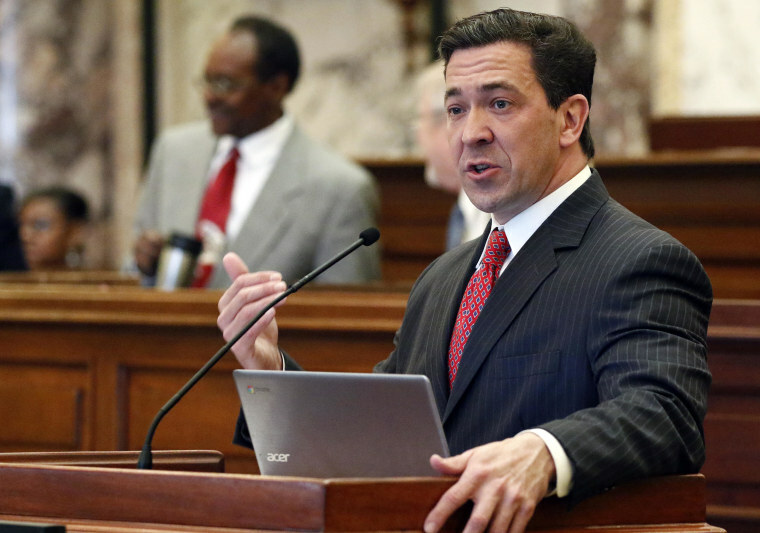 Politico first reported that McDaniel would take on Wicker, a move that would end months of speculation about whether he will run in the scheduled primary or wait to see if Cochran retires and try to win a special election for the seat. The filing deadline for Wicker's seat is Thursday. Wicker's campaign manager, Justin Brasell, told NBC News in November that his candidate would be ready for McDaniel. Wicker had $4.1 million in the bank at the end of 2017, and Brasell said he believes voters approve of Wicker's work in Washington. Trump has assured Wicker that he will support him, according to a person familiar with their interaction. But Trump's backing has not always been decisive in GOP primaries. The Mississippi race echoes last year's special election for a Senate seat in Alabama, where conservative darling Roy Moore defeated Trump-backed Sen. Luther Strange in a primary runoff only to lose the previously safe Republican seat to Democrat Doug Jones in the December general election.